It’s been a busy week for me. Last Friday I videotaped an evening wedding. It was in a church with a small reception in the church basement. I was hired just to get some of the prep before the ceremony and then the cermony itself. I did get a little bit of the receiving line, a sweep of the reception room, and the cutting of the cake. Or in this case, the cutting of the cupcake. I rarely do evening weddings. Most weddings are held on Saturdays around 1pm or 3pm. It’s still light and the churches are well lit. This was after dark and the bride wanted to walk up the aisle which was lit by candle light. It was beautiful, but video cameras need light. I asked if I could have the lights on th alter area which the bride said was okay. I used the spill from that to provide the light for the incoming processional. It worked like a charm. I was very happy with how it looked. The bride was happy that she still got her dark aisle and candle light. When you hire a professional videographer to tape your wedding, you get the experience that knows how to use light spills. Uncle Joe with a hand held video camera isn’t going to do that. Also, I used 4 cameras for this wedding. I had one camera on the alter to get the candle lighting. I had one camera in the back for cover shots. I had one camera at the side to cover the singer. And I had one roving camera for close ups. Uncle Joe would not have been able to get everything. I did. I wish more brides would realize the importance of taping their weddings. The photos are nice but video captures the day in a way that photos can’t. 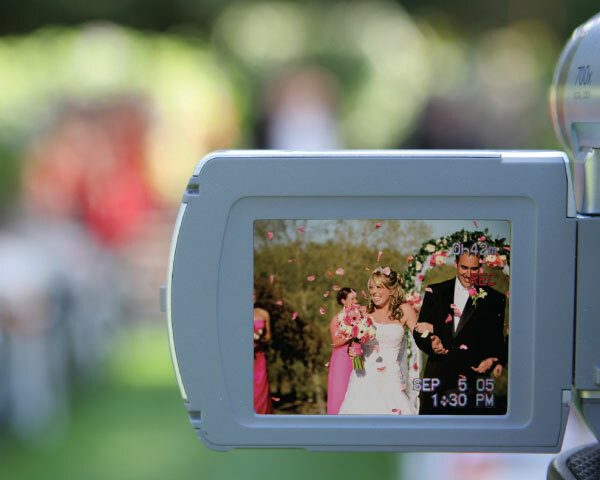 I hear all the time from brides who, after the fact, wished they had hired a videographer for the day. One made a testimonial for me telling brides of her regret. Recently, a second woman offered to make a “regret” testimonial. Hindsight is 20/20 but you can’t redo the wedding to make the video. This entry was posted on April 20, 2013 at 1:29 pm and is filed under Uncategorized. You can follow any responses to this entry through the RSS 2.0 feed. You can leave a response, or trackback from your own site.